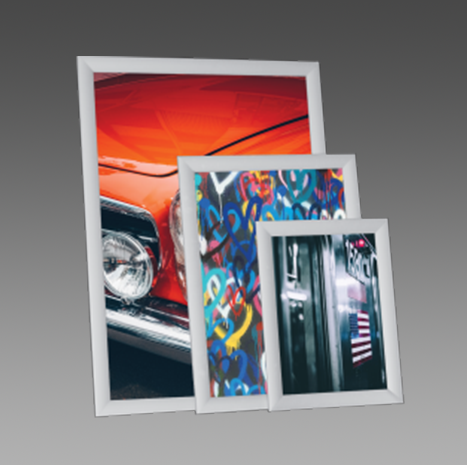 There are so many different terms for Clip Frames – click frames, clipper frames, grip frames, klip frames, kwik klip frames, poster display frames, photo frames, snap frames, snapper frames and more. We prefer to call them Clip Frames, because it’s that simple – open, insert and clip. 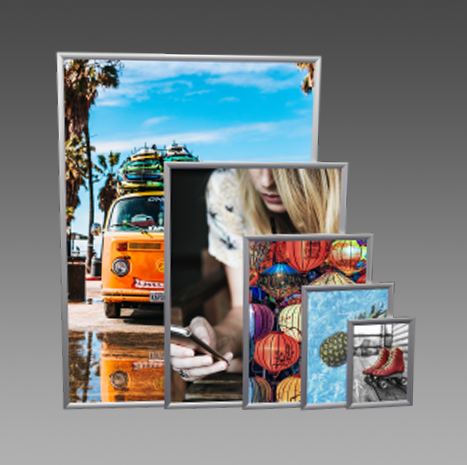 Posters, photos and notices are easily and quickly inserted in the clip frames. Our Clip Frames are available in 23mm, 40mm and 60mm profiles. 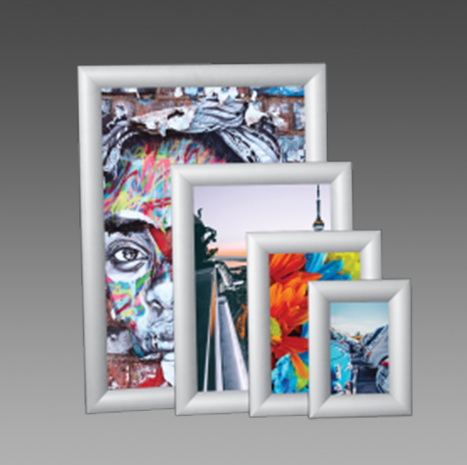 Our Clip Frames are manufactured to the highest quality and are guaranteed against faulty workmanship and materials. 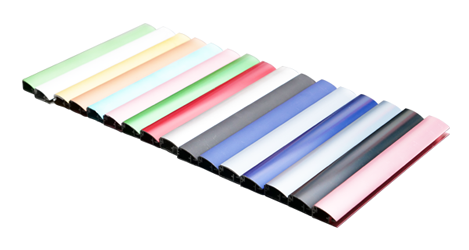 Our Clip Frames can be manufactured in almost any colour you can think of!